Childhood memories are cherished and remind us of great times, but more importantly, they are a reminder of where we came from, be it Weatherford, Texas or another Texas city. It could have been the way dad taught us how to tie our shoes and throw a baseball, or it could be the way mom loved cooking big family dinners. We each have special memories we can look back on and smile about. Giving back that same kind of care can be challenging as our loved ones age. This is the very reason our business exists: to help provide in-home care and comfort your loved ones deserve. Being a family-owned business we understand the value of family and providing care that allows them to have the best quality of life in their own homes. We go above and beyond to make sure your loved ones get the comfort and company that they deserve. 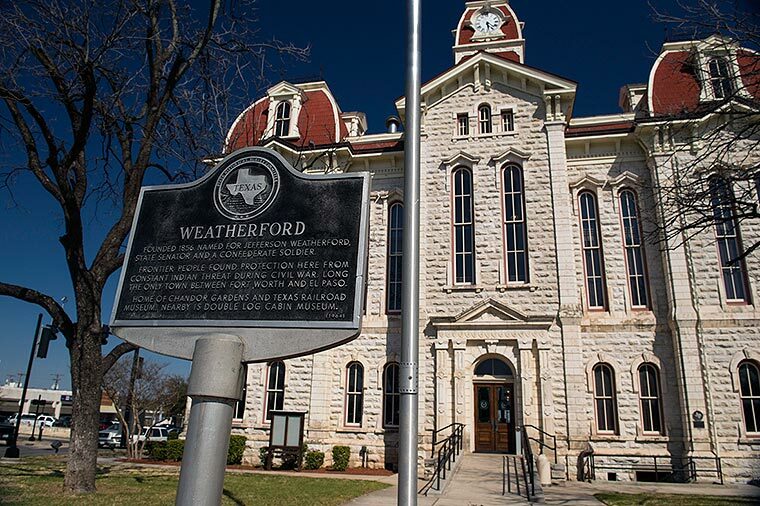 Making sure that your loved ones receive the proper care doesn’t have to be a guessing game, we’re bonded, insured, and fully licensed by the State of Texas to serve in Weatherford. All of our caretakers are experienced and undergo comprehensive background checks. Call us today to set up a free in-home assessment at (682) 333-0044. Write A Review About Our Services! There is 1 Senior Center in the city Weatherford. There is 1 VFW Post active in Weatherford, TX. This post acts as a meeting place for VFW members and play host to a variety of events including karaoke, car shows, and fundraisers. Some VFW posts also have restaurants, a full bar, billiards room, and other amenities. Events and Amenities vary between posts, be sure to ask your closest post what’s available. There is 1 Veterans service office in Weatherford, TX. There are 10 active chapters of the Red Hat Society within a 25 mile radius of Weatherford, TX. The Red Hat Society was founded to help women over the age of 50 grow older playfully and make new friends.